Soon after the people saw the signs of Jesus Christ’s birth, they began to forget the witnesses they had received, and they hardened their hearts. Many of the Nephites and Lamanites rejected further signs and wonders and increased in wickedness. 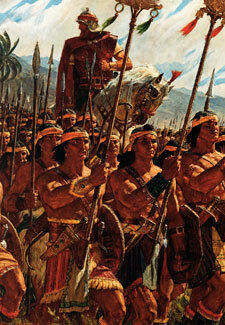 As a result, the Gadianton robbers grew so strong that Nephites and Lamanites were compelled to take up arms against them. 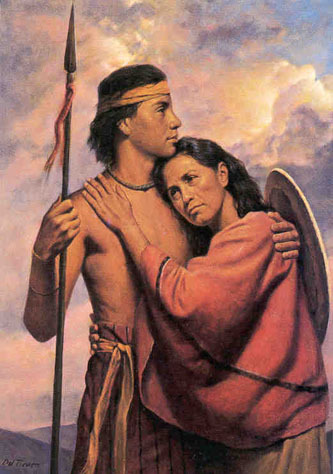 The converted Lamanites joined with the Nephites and became known as Nephites. Lachoneus, the chief judge of the Nephites, called on the people to repent and prepared them for battle. Because of their repentance, unity, faith in the Lord, and diligent preparations, the Nephites triumphed over the Gadianton robbers. 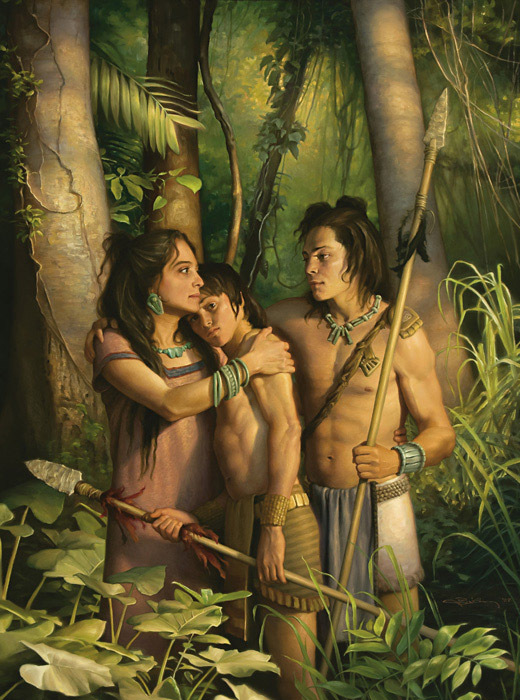 Following their deliverance, the righteous Nephites and Lamanites acknowledged the power of God in their preservation. By this point in our study of the Book of Mormon you are probably seeing many similarities between our day and what was happening back then. We can definitely “LIKEN” these accounts to our life as we prepare for the Second Coming of the Lord. As the righteous Nephites and Lamanites prepared themselves physically and spiritually they received the “strength of the Lord” (3 Nephi 3:21; 4:10) to help them overcome their enemies and the wickedness that surrounded them. The video above demonstrates the importance of our physical preparation in the latter days preceding the Second Coming. The video below helps us to understand the importance of our spiritual preparation–which is even more important. It is one of my favorite talks about preparing for the Second Coming, and if you like to listen to Elder Dallin H. Oaks, then you will definitely want to review his message that was giving in 2004. Elder Oaks is indeed a Latter-day Lachoneus that is trying to help us be prepared for that which is to come. The Lord has declared, “He that feareth me shall be looking forth for the great day of the Lord to come, even for the signs of the coming of the Son of Man,” signs that will be shown “in the heavens above, and in the earth beneath” (D&C 45:39–40). The Savior taught this in the parable of the fig tree whose tender new branches give a sign of the coming of summer. “So likewise,” when the elect shall see the signs of His coming “they shall know that he is near, even at the doors” (JS—M 1:38–39; see also Matt. 24:32–33; D&C 45:37–38). 1. The fulness of the gospel restored and preached in all the world for a witness to all nations. 2. False Christs and false prophets, deceiving many. 3. Wars and rumors of wars, with nation rising against nation. 4. Earthquakes in divers places. 6. An overflowing scourge, a desolating sickness covering the land. 8. The whole earth in commotion. 9. Men’s hearts failing them. “How oft have I called upon you by the mouth of my servants, and by the ministering of angels, and by mine own voice, and by the voice of thunderings, and by the voice of lightnings, and by the voice of tempests, and by the voice of earthquakes, and great hailstorms, and by the voice of famines and pestilences of every kind, … and would have saved you with an everlasting salvation, but ye would not!” (D&C 43:23, 25). Another sign of the times is the gathering of the faithful (see D&C 133:4). In the early years of this last dispensation, a gathering to Zion involved various locations in the United States: to Kirtland, to Missouri, to Nauvoo, and to the tops of the mountains. Always these were gatherings to prospective temples. With the creation of stakes and the construction of temples in most nations with sizeable populations of the faithful, the current commandment is not to gather to one place but to gather in stakes in our own homelands. There the faithful can enjoy the full blessings of eternity in a house of the Lord. There, in their own homelands, they can obey the Lord’s command to enlarge the borders of His people and strengthen her stakes (see D&C 101:21; D&C 133:9, 14). In this way, the stakes of Zion are “for a defense, and for a refuge from the storm, and from wrath when it shall be poured out without mixture upon the whole earth” (D&C 115:6). While we are powerless to alter the fact of the Second Coming and unable to know its exact time, we can accelerate our own preparation and try to influence the preparation of those around us. A parable that contains an important and challenging teaching on this subject is the parable of the ten virgins. Of this parable, the Lord said, “And at that day, when I shall come in my glory, shall the parable be fulfilled which I spake concerning the ten virgins” (D&C 45:56). Given in the 25th chapter of Matthew, this parable contrasts the circumstances of the five foolish and the five wise virgins. All ten were invited to the wedding feast, but only half of them were prepared with oil in their lamps when the bridegroom came. The five who were prepared went into the marriage feast, and the door was shut. The five who had delayed their preparations came late. The door had been closed, and the Lord denied them entrance, saying, “I know you not” (Matt. 25:12). “Watch therefore,” the Savior concluded, “for ye know neither the day nor the hour wherein the Son of man cometh” (Matt. 25:13). The arithmetic of this parable is chilling. The ten virgins obviously represent members of Christ’s Church, for all were invited to the wedding feast and all knew what was required to be admitted when the bridegroom came. But only half were ready when he came. “And after your testimony cometh wrath and indignation upon the people. “And … the testimony of the voice of thunderings, and the voice of lightnings, and the voice of tempests, and the voice of the waves of the sea heaving themselves beyond their bounds. “And all things shall be in commotion; and surely, men’s hearts shall fail them; for fear shall come upon all people. “And angels shall fly through the midst of heaven, crying with a loud voice, sounding the trump of God, saying: Prepare ye, prepare ye, O inhabitants of the earth; for the judgment of our God is come. Behold, and lo, the Bridegroom cometh; go ye out to meet him” (D&C 88:88–92). Brothers and sisters, as the Book of Mormon teaches, “this life is the time for men to prepare to meet God; … the day of this life is the day for men to perform their labors” (Alma 34:32). Are we preparing? In His preface to our compilation of modern revelation the Lord declares, “Prepare ye, prepare ye for that which is to come, for the Lord is nigh” (D&C 1:12). The Lord also warned: “Yea, let the cry go forth among all people: Awake and arise and go forth to meet the Bridegroom; behold and lo, the Bridegroom cometh; go ye out to meet him. Prepare yourselves for the great day of the Lord” (D&C 133:10; see also D&C 34:6). “Watch therefore; for ye know not what hour your Lord doth come. “But know this, that if the goodman of the house had known in what watch the thief would come, he would have watched, and would not have suffered his house to be broken up” (Matt. 24:42–43). “But would have been ready” (JS—M 1:47). “Therefore be ye also ready: for in such an hour as ye think not the Son of man cometh” (Matt. 24:44; see also D&C 51:20). We need to make both temporal and spiritual preparation for the events prophesied at the time of the Second Coming. And the preparation most likely to be neglected is the one less visible and more difficult—the spiritual. A 72-hour kit of temporal supplies may prove valuable for earthly challenges, but, as the foolish virgins learned to their sorrow, a 24-hour kit of spiritual preparation is of greater and more enduring value. 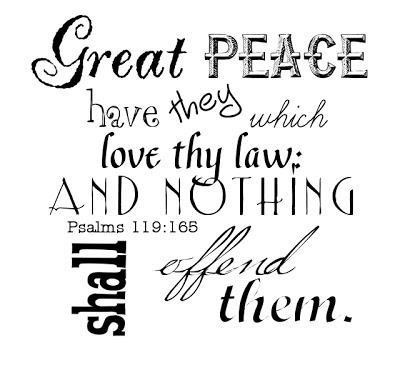 We are living in the prophesied time “when peace shall be taken from the earth” (D&C 1:35), when “all things shall be in commotion” and “men’s hearts shall fail them” (D&C 88:91). There are many temporal causes of commotion, including wars and natural disasters, but an even greater cause of current “commotion” is spiritual. Viewing our surroundings through the lens of faith and with an eternal perspective, we see all around us a fulfillment of the prophecy that “the devil shall have power over his own dominion” (D&C 1:35). Our hymn describes “the foe in countless numbers, / Marshaled in the ranks of sin” (“Hope of Israel,” Hymns, no. 259), and so it is. An increasing number of opinion leaders and followers deny the existence of the God of Abraham, Isaac, and Jacob and revere only the gods of secularism. Many in positions of power and influence deny the right and wrong defined by divine decree. Even among those who profess to believe in right and wrong, there are “them that call evil good, and good evil” (Isa. 5:20; 2 Ne. 15:20). Many also deny individual responsibility and practice dependence on others, seeking, like the foolish virgins, to live on borrowed substance and borrowed light. What is the state of our personal preparation for eternal life? The people of God have always been people of covenant. What is the measure of our compliance with covenants, including the sacred promises we made in the waters of baptism, in receiving the holy priesthood, and in the temples of God? Are we promisers who do not fulfill and believers who do not perform? As the Savior taught in His prophecy of the Second Coming, blessed is the “faithful and wise servant” who is attending to his duty when the Lord comes (see Matt. 24:45–46). As the prophet Nephi taught of that day, “The righteous need not fear” (1 Ne. 22:17; see also 1 Ne. 14:14; D&C 133:44). And modern revelation promises that “the Lord shall have power over his saints” (D&C 1:36). We are surrounded by challenges on all sides (see 2 Cor. 4:8–9). But with faith in God, we trust the blessings He has promised those who keep His commandments. We have faith in the future, and we are preparing for that future. To borrow a metaphor from the familiar world of athletic competitions, we do not know when this game will end, and we do not know the final score, but we do know that when the game finally ends, our team wins. We will continue to go forward “till the purposes of God shall be accomplished, and the Great Jehovah shall say the work is done” (History of the Church, 4:540). “Wherefore,” the Savior tells us, “be faithful, praying always, having your lamps trimmed and burning, and oil with you, that you may be ready at the coming of the Bridegroom—For behold, verily, verily, I say unto you, that I come quickly” (D&C 33:17–18). I testify of Jesus Christ. I testify that He shall come, as He has promised. And I pray that we will be prepared to meet Him, in the name of Jesus Christ, amen. Before departing out of the land, the prophet Nephi (the son of Helaman) passed the records to his oldest son, Nephi. When the time drew near for the fulfillment of Samuel the Lamanite’s prophecy about the Savior’s birth, believers watched for the signs Samuel had said would come. The unbelievers plotted to put the faithful to death if the prophecies concerning the birth of Jesus Christ were not fulfilled by a certain day. Nephi pleaded with the Lord on behalf of the believers. In answer to Nephi’s prayer, the voice of the Lord came to him, declaring that the sign would be given that night. In fulfillment of the prophecy of Samuel the Lamanite, when the sun set there was no darkness and a new star appeared. Despite Satan’s continued attempts to destroy the faith of the people, “the more part of the people did believe, and were converted unto the Lord” (3 Nephi 1:22). But two years later, the Gadianton robbers began to lead many Nephites and Lamanites into wickedness. I am always amazed at the unwavering faith that was demonstrated by the “believers” in 3 Nephi 1. I think that every single time I read it I pause to consider if I would have been found among the “believers” that were willing to “watch steadfastly” in the face of death. While in the region of Bethlehem it was a “Merry Christmas”, in America it was a “Scary Christmas”. Sometimes it may seem that the sun is setting before the promises of God have been fulfilled in our lives. But this account shows me that we need to endure to the end and wait for the sun to set with full confidence that the Lord will fulfill all His words. After all, “faith in God includes faith in God’s timing”! One of my favorite talks that helps me to “watch steadfastly” as the sun sets spiritually sometimes in my life comes from Elder Jeffrey R. Holland. His talk was titled, “Cast Not Away Therefore Your Confidence,” and was given at a BYU Devotional. I will include a link to the video and a copy of the transcript for those of you who may need a boost for your faith as you watch the sun set in your life. There is a lesson in the Prophet Joseph Smith’s account of the First Vision which virtually every Latter-day Saint has had occasion to experience, or one day soon will. It is the plain and very sobering truth that before great moments, certainly before great spiritual moments, there can come adversity, opposition, and darkness. Life has some of those moments for us, and occasionally they come just as we are approaching an important decision or a significant step in our lives. An entire article could be devoted to this subject of the adversary’s strong, preliminary, anticipatory opposition to many of the good things God has in store for us. But I want to move past that observation to another truth we may not recognize so readily. This is a lesson in the parlance of the athletic contest that reminds us “it isn’t over until it’s over.” It is the reminder that the fight goes on. Unfortunately we must not think Satan is defeated with that first strong breakthrough which so dramatically brought the light and moved us forward. But Moses’ message to you today is: Don’t let your guard down. Don’t assume that a great revelation, some marvelous, illuminating moment, the opening of an inspired path, is the end of it. Remember, it isn’t over until it’s over. What happens to Moses next, after his revelatory moment, would be ludicrous if it were not so dangerous and so true to form. Lucifer—in an effort to continue his opposition, in his unfailing effort to get his licks in later if not sooner—appears and shouts in equal portions of anger and petulance after God has revealed Himself to the prophet: “Moses, worship me.” But Moses is not having it. He has just seen the real thing, and by comparison this sort of performance is pretty dismal. “Moses looked upon Satan and said: Who art thou? … Where is thy glory, that I should worship thee? “And now, when Moses had said these words, Satan cried with a loud voice, and ranted upon the earth, and commanded, saying: I am the Only Begotten, worship me. “And it came to pass that Moses began to fear exceedingly; and as he began to fear, he saw the bitterness of hell. Nevertheless, calling upon God [the very phrase used by Joseph Smith], he received strength, and he commanded, saying: Depart from me, Satan, for this one God only will I worship, which is the God of glory. “And it came to pass that Satan cried with a loud voice, with weeping, and wailing, and gnashing of teeth; and he departed hence,” 4 always to come again, we can be sure, but always to be defeated by the God of glory—always. I wish to encourage every one of us regarding the opposition that so often comes after enlightened decisions have been made, after moments of revelation and conviction have given us a peace and an assurance we thought we would never lose. In his letter to the Hebrews, the Apostle Paul was trying to encourage new members who had just joined the Church, who undoubtedly had had spiritual experiences and received the pure light of testimony, only to discover that their troubles had not ended but that some of them had just begun. Paul pleaded with those new members in much the same way President Gordon B. Hinckley is pleading with new members today. The reminder is that we cannot sign on for a battle of such eternal significance and everlasting consequence without knowing it will be a fight—a good fight and a winning fight, but a fight nevertheless. Paul says to those who thought a new testimony, a personal conversion, a spiritual baptismal experience would put them beyond trouble—to these he says, “Call to remembrance the former days, in which, after ye were illuminated, ye endured a great fight of afflictions.” Then this tremendous counsel, which is at the heart of my counsel to you: “Cast not away therefore your confidence, which hath great recompence of reward. “… If any man draw back, my soul shall have no pleasure in him. In Latter-day Saint talk that is to say, Sure it is tough—before you join the Church, while you are trying to join, and after you have joined. That is the way it has always been, Paul says, but don’t draw back. Don’t panic and retreat. Don’t lose your confidence. Don’t forget how you once felt. Don’t distrust the experience you had. That tenacity is what saved Moses and Joseph Smith when the adversary confronted them, and it is what will save you. I suppose every returned missionary and probably every convert reading these words knows exactly what I am talking about. Appointments for discussions canceled, the Book of Mormon in a plastic bag hanging from a front doorknob, baptismal dates not met. And so it goes through the teaching period, through the commitments and the baptism, through the first weeks and months in the Church, and more or less forever—at least, the adversary would pursue it forever if he thought he could see any weakening of your resolve, any chink in your armor. This opposition turns up almost any place something good has happened. It can happen when you are trying to get an education. It can hit you after your first month in your new mission field. It certainly happens in matters of love and marriage. It can occur in situations related to your family, Church callings, or career. With any major decision there are cautions and considerations to make, but once there has been illumination, beware the temptation to retreat from a good thing. If it was right when you prayed about it and trusted it and lived for it, it is right now. Don’t give up when the pressure mounts. Certainly don’t give in to that being who is bent on the destruction of your happiness. Face your doubts. Master your fears. “Cast not away therefore your confidence.” Stay the course and see the beauty of life unfold for you. To help us make our way through these experiences, these important junctures in our lives, let me draw from another scriptural reference to Moses. It was given in the early days of this dispensation when revelation was needed, when a true course was being set and had to be continued. Most Latter-day Saints know the formula for revelation given in section 9 of the Doctrine and Covenants—the verses about studying it out in your mind and the Lord promising to confirm or deny. What most of us don’t read in conjunction with this is the section which precedes it: section 8. Why would the Lord use the example of crossing the Red Sea as the classic example of “the spirit of revelation”? Why didn’t He use the First Vision? Or the example from the book of Moses we just used? Or the vision of the brother of Jared? Well, He could have used any of these, but He didn’t. Here He had another purpose in mind. Usually we think of revelation as a downpour of information. But this is too narrow a concept of revelation. May I suggest how section 8 broadens our understanding, particularly in light of these “fights of affliction” we have been discussing. First of all, revelation almost always comes in response to a question, usually an urgent question—not always, but usually. In that sense it does provide information, but it is urgently needed information, special information. Moses’ challenge was how to get himself and the children of Israel out of this horrible predicament they were in. There were chariots behind them, sand dunes on every side, and a lot of water immediately ahead. He needed information to know what to do, but it wasn’t a casual thing he was asking. In this case it was literally a matter of life and death. You will need information too, but in matters of great consequence it is not likely to come unless you want it urgently, faithfully, humbly. Moroni calls it seeking “with real intent.” 7 If you can seek that way and stay in that mode, not much that the adversary can counter with will dissuade you from a righteous path. You can hang on, whatever the assault and affliction, because you have paid the price for real conviction. Like Moses in that vision, there may come after the fact some competing doubts and confusion, but it will pale when you measure it against the real thing. Remember the real thing. Remember how urgently you have needed help in earlier times and you got it. The Red Sea will open to the honest seeker of revelation. The adversary has power to hedge up the way, to marshal Pharaoh’s forces and dog our escape right to the water’s edge, but he can’t produce the real thing. He cannot conquer if we will it otherwise. Exerting all our powers, the light will again come, the darkness will again retreat, the safety will be sure. That is lesson number one about crossing the Red Sea by the spirit of revelation. Everyone runs the risk of fear. For a moment in Moses’ confrontation with the adversary, “Moses began to fear exceedingly; and as he began to fear, he saw the bitterness of hell.” 9 That’s when you see it—when you are afraid. How soon we forget. It would not have been better to stay and serve the Egyptians, and it is not better to remain outside the Church, nor to put off marriage, nor to reject a mission call or other Church service, and so on and so on forever. Of course our faith will be tested as we fight through these self-doubts and second thoughts. Some days we will be miraculously led out of Egypt—seemingly free, seemingly on our way—only to come to yet another confrontation, like all that water lying before us. At those times we must resist the temptation to panic and give up. At those times fear will be the strongest of the adversary’s weapons against us. I acknowledge the reality of opposition and adversity, but I bear witness of the God of glory, of the redeeming Son of God, of light and hope and a bright future. I promise you that God lives and loves you, each one of you, and that He has set bounds and limits to the opposing powers of darkness. I testify that Jesus is the Christ, the victor over death and hell and the fallen one who schemes there. The gospel of Jesus Christ is true, and it has been restored. “Fear ye not.” And when the second and third and fourth blows come, “fear ye not. … The Lord shall fight for you.” 16 Cast not away therefore your confidence. See 2 Ne. 2:11, 17–18. Moses 1:1–2, 4, 8, 27–28.